Establishing custody of any child in Tennessee involves both legal and physical custody components, regardless of his age. Legal custody refers to which parent makes major life decisions for your child. School choice, medical treatment, and church affiliation would be typical examples of decisions made by a parent with legal custody of a preteen. Physical custody refers to where the child sleeps most of the time. The parent with physical custody makes day-to-day decisions, such as when the child eats, sees friends, and does homework. Both types of custody can be shared between parents, or one parent can be awarded sole custody. Tennessee's best interests of the child doctrine requires that a judge consider several factors when deciding custody. One of these factors is the preference of a child 12 or older. Additional factors include the mental and physical health of both parents, the child's home, school and community record, and whether there has been any physical or emotional abuse in the family. No single factor is given more or less weight than the others. For example, even if your child is adamant that she prefers to live entirely with you, a judge might award shared custody or sole custody to his other parent if he finds there's a problem with your ability to care for the child. If one parent is awarded sole physical custody, the other parent will generally receive visitation time. This is based on the rationale that frequent and continuing contact with both parents is in your child's best interests. However, visitation may be limited or denied in cases where the emotional or physical safety of the child might be endangered. In these cases, the court has the option of ordering supervised visitation if it appears that the presence of a third party during visitation times would minimize the risk of harm to the child. In order to modify a custody order in Tennessee, the law requires that a material change in circumstances must have occurred. Just as with the initial custody terms included in your divorce decree, courts will only modify a custody arrangement if the judge finds that it is in your child's best interest. Consistency is important to preteen children, so the court will only grant modifications in limited cases. An example might be a pattern of deliberate interference with your parenting time by your spouse, or if a parent has become abusive toward the child. After the court has determined that a change has occurred, the judge will then revisit the best interest factors and consider your child's preference. If it can be demonstrated that you are in a better position to care for the child's needs, custody will be modified. How Old Must a Minor Be in Kentucky Before He Has a Say in Custody & Visitation? 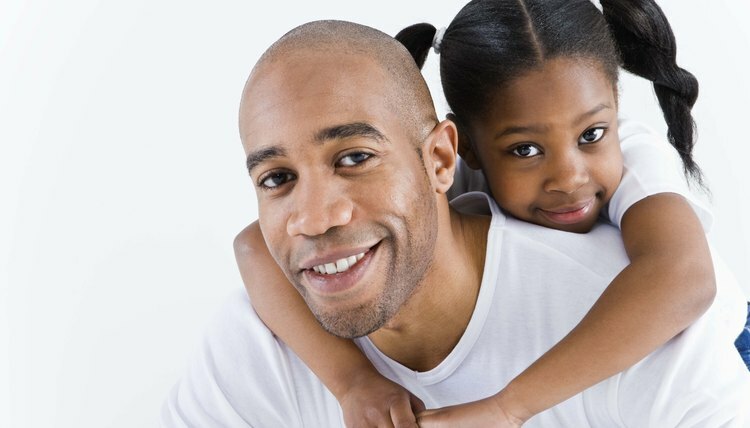 In the past, most custody arrangements granted primary custody to mothers, giving only a few days of visitation to fathers. Recognizing the importance of promoting both parents' ongoing involvement with their children, however, many states now favor some form of shared custody. Shared custody arrangements can be ordered by a judge or agreed to by the parents, and they may be structured in a variety of ways.